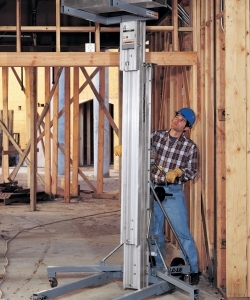 This manually operated material lift has a range of models offering lifting heights from 2m to 7.94m, for loads of up to 454Kg. 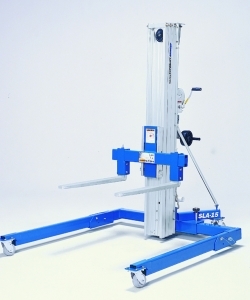 Choice of standard base (with welded steel base for extra support) or straddle base (which is adjustable for wide loads and pallets up to 122cm wide). 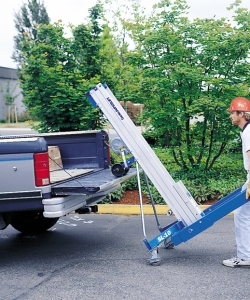 Compact and portable, the Advantage can be transported in a light commercial vehicle. 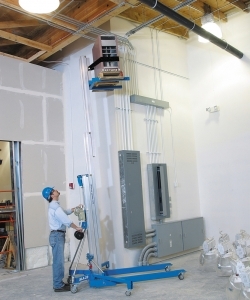 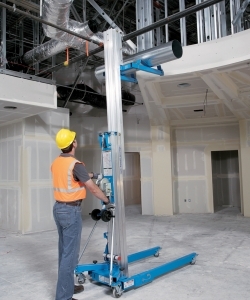 With increased lifting height and load capacity, the Superlift Contractor was designed for use in the construction industry and is now used in a range of industrial applications. 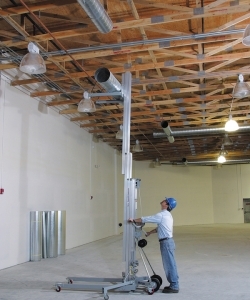 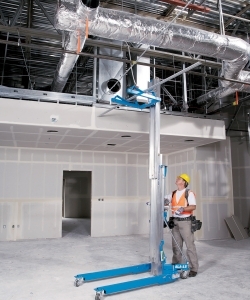 Lifting heights range from 3.94m to 7.32m, for loads of up to 295Kg. 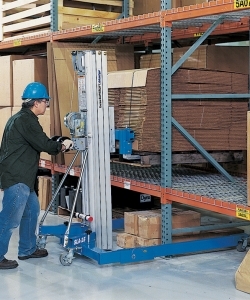 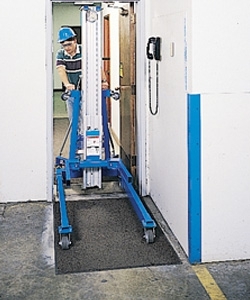 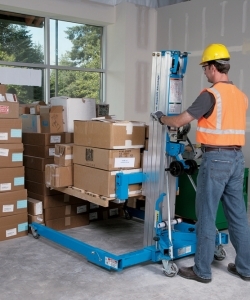 The Contractor can be transported in a pick-up and is easy to store, which makes it a popular material lift for contractors and multi-site users.